The 2019 Jingle Cross Festival in Iowa City announces the return of the JUNIOR’S DEVO CUP. Details to follow! 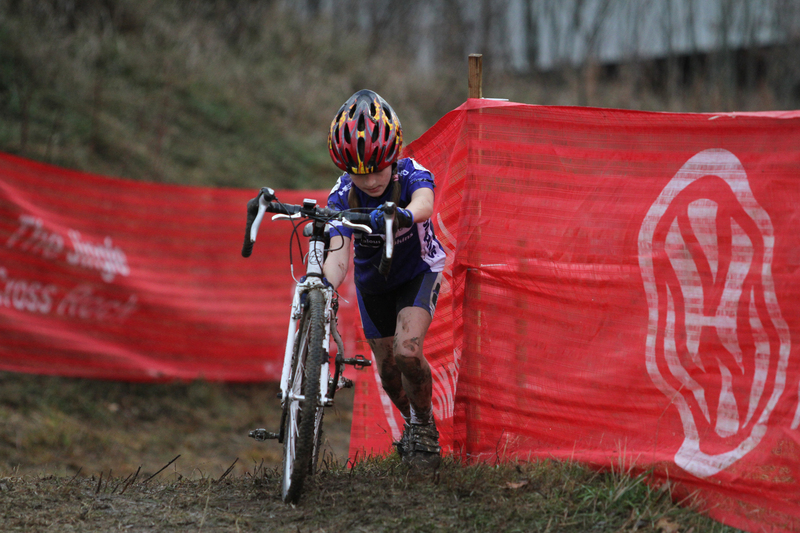 3) JUNIOR DEVO CUP TEAM competition and will be determined by Saturday’s Devo Cup Race. The point system will be announced soon and will include an opportunity for a team to gain points in all 5 divisions (Boys 9-12,13-15, and 16-18 plus girls 9-13 and 14-18). You can still win the TEAM competition if you are missing riders in up to two divisions. 4) Overall Divisional Champion – a champion will be determined for each age division and awarded the Champion System Jingle Cross Championship jersey. The winner in each age division is determined by points accumulated within their age division and not compared to other divisions. Each day counts the same with a slight emphasis on Sunday’s race which may be used as a tie breaker if the final point total between two riders is the same.